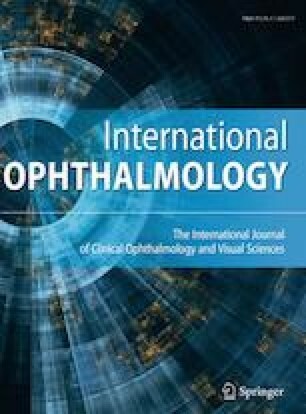 To evaluate refractive, binocular vision and ocular alignment outcomes of photorefractive keratectomy (PRK) for the treatment of hyperopia in esotropic patients. Medical charts of hyperopic patients with full or partial accommodative esotropia (FAE or PAE) or consecutive exotropia (CE) undergone PRK from 2011 to 2014 were reviewed. The primary outcome was to assess the efficacy of PRK in improving ocular alignment. The secondary outcomes were the assessments of uncorrected visual acuity (UCVA), best-corrected visual acuity (BCVA), spherical equivalent (SE) and stereoacuity. Sixty-four eyes of 32 hyperopic patients were included. Three patients were affected by FAE, 24 by PAE and 5 by CE. All FAE patients and 4 PAE patients underwent only PRK; the remaining 25 patients underwent PRK plus strabismus surgery. After PRK, the mean corrected esodeviation decreased significantly in the overall esotropic population [7.15 ± 9.42 prism diopters (PD) vs. 5.04 ± 8.83 PD; p = 0.03] and in particular in the group with small-angle esodeviation (< 20 PD). Conversely, the only 2 patients with an angle of strabismus ≥ 20 PD as well as all CE patients did not show any postoperative variation of the deviation angle. Mean preoperative BCVA did not differ from postoperative UCVA (p = 0.19), while the mean postoperative SE decreased significantly after PRK (p < 0.0001). Our study confirmed that PRK eliminates the accommodative component of the deviation. In addition, this procedure seems to reduce or eliminate also the non-accommodative component of esodeviation (especially in small-angle deviation), thus suggesting to postpone strabismus surgery after PRK when esotropia and hyperopia coexist. This work was supported by two Research Grants provided to Prof. Emilio C Campos from “Fondazione Cassa di Risparmio di Bologna” (Bologna, Italy) and “Beneficientia Stiftung” (Vaduz, Liechtenstein). All procedures performed in studies involving human participants were in accordance with the ethical standards of the institutional and/or national research committee (place name of institute/committee) and with the 1964 Helsinki Declaration and its later amendments or comparable ethical standards.